How To Easily Apply False Lashes – It’s Week 3 in my Essential Beauty Basics series, and I thought I’d cover how to apply false lashes perfectly & quickly, as this is something I’ve been asked about ALOT! Just a couple of little hacks are all that are between you and natural looking, perfectly applied strip lashes! 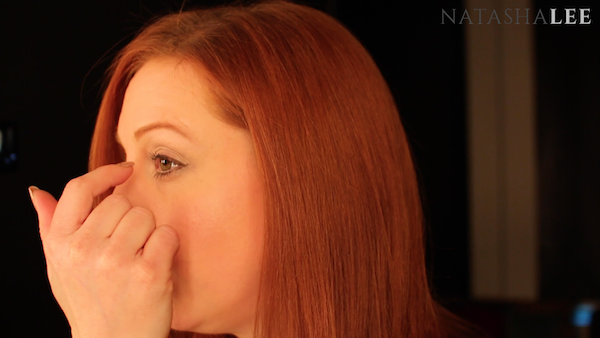 I’ve learnt these little tricks over the years after countless failed attempts to apply strip lashes in a hurry and resultantly messing up myself, my makeup and my lashes in the process! In the list below I’ve included every product and tool that I used in the video above, but if you have different tweezers, false lashes or eyeliner, that’s not problem at all. All I would say is that unless you have an excellent strip lash adhesive, then I highly recommend getting the Ultra Bond Strip Lash Adhesive; the ones in the lash sets just never cut the mustard for me 🙂 Just click on the links below to find where to buy them. Apply your eye makeup and finish the look with either a line of black eyeliner along the upper lash line, or if you struggle applying eyeliner, use a fine eyeliner brush and either dark or black eyeshadow to line your lash line. This is to disguise the vein of the strip lashes when you apply them. Remove your false lashes carefully from the packaging using a pair of tweezers. If the false lashes are too long, we are simply going to trim them. Only trim from the outer side of the lashes. You can tell which end of the lashes is for your inner eye and which is for your outer eye, as the inner eye lashes on the strip are shorter, and the outer are longer. This will help you to remember for future if you reuse your lashes. Trim by taking a pair of scissors, and trim down from the lash vein. 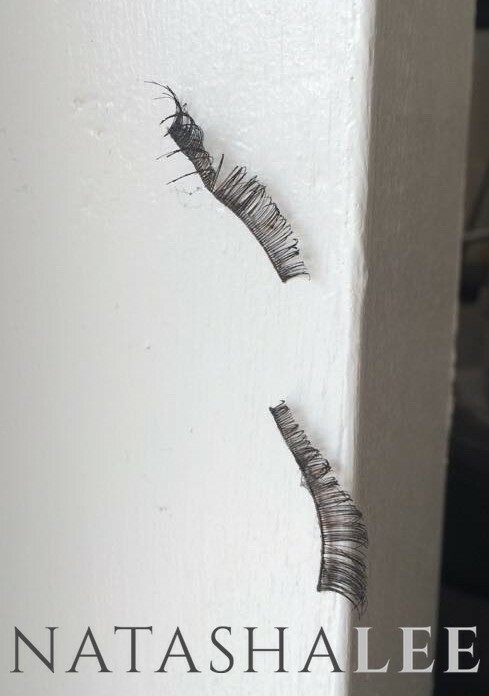 Don’t trim up through the actual lashes as you will possibly take chunks out of the lashes. 😉 If you feel a bit nervous about doing this, cut off less than you think you need, you can always take more off later. Measure the lashes again to make sure that you’ve got the right length. If you have, trim the same amount off the lash for the other eye, making sure to only trim the end intended for your outer corner of your eye. Once your lashes are trimmed to size, you’re ready to apply your lash adhesive. I’m yet to find a brand of boxed lashes where the adhesive is actually very good (that’s not to say that there aren’t some out there, but I just haven’t come across them yet!). I use Ultra Bond Strip Lash Adhesive. You don’t want to go overboard when using it though as it is incredibly sticky! Again hold the lashes with the tweezers just under the lash line. Then run an even amount of the adhesive along the lash vein. Give the adhesive a couple of minutes to go tacky to the touch (as opposed to wet). If you are in a hurry, you can lightly blow on it to speed up the process. If you are new to applying false lashes, or you have struggled in the past, then just apply the adhesive to one lash at a time and then apply it. Once you are more confident, apply the adhesive to both lashes and then apply each one in order. Now this is the bit where people can struggle, but I’ve found this method to be foolproof. Still holding the false lash in the centre with the tweezers, using a mirror, hold the false lash above your lash line. 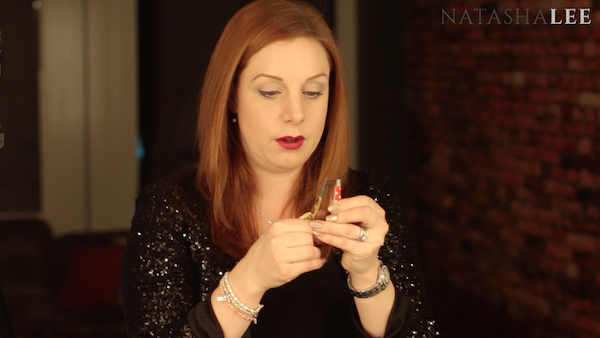 This is to make sure that you have it in the centre of your natural lash line before sticking down. Once you feel content that you have the false lash centred, simply and gently push it down as close to your natural lash line as possible. Don’t worry if it looks a bit funky at this stage, I’ve just found this the best way to easily apply false lashes perfectly first time. If the lash looks in a good position i.e. the outer edge of the lash is in line with the outer edge of your lash line, then simply take hold of the outer edge of the false lash and push gently down onto the lash line at the outer corner of your eye. Repeat this with the inner edge of the false lashes on the lash line at the inner corner of your eye. Use your tweezers to gently secure the vein of the false lash along the length of your lash line. At his stage you can add more curl or lift to your false strip lashes by gently using your finger to bend them upwards or push them down if they are angled too high. Once the lash feels and looks secure and in a good position, repeat the process on your other eye. The finished look! 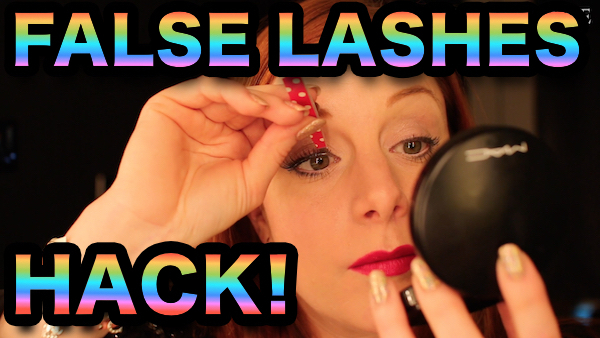 How to easily apply false lashes in under 5 minutes perfectly every time!! This may not be the way that you are taught in Beauty Therapy etc to apply false lashes, but this way works for me perfectly every time. I’ve even used this method to apply false lashes in the car! (Mr Lee was driving!). If you need a little extra help, then just watch my video at the top of the page and leave me a comment to let me know how you get on. 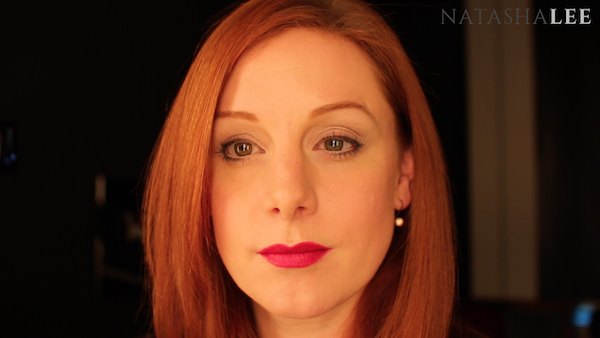 Stay tuned next Friday at 7pm GMT for the next instalment in my Essential Beauty Basics series.